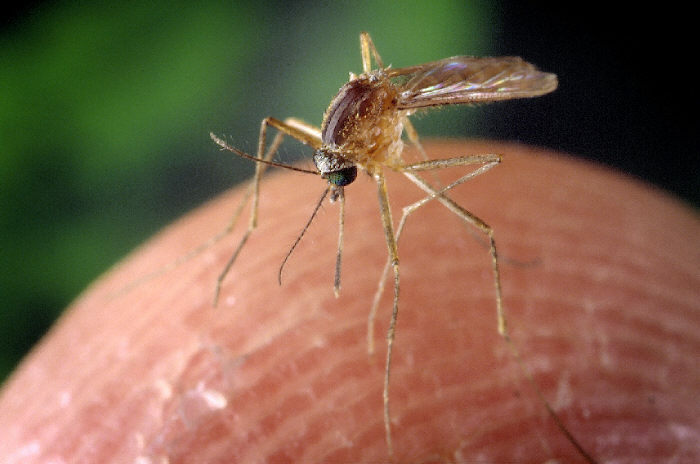 Health officials announced that a 40-something male resident of Middlesex County is the first human case of West Nile virus (WNV) in Massachusetts this year. He is currently hospitalized for his illness. The Massachusetts Department of Public Health (DPH) is conducting an epidemiological investigation to determine where the man was most likely exposed to infected mosquitoes. Assessment of WNV risk areas will depend on the findings of this investigation. In 2014, there were six human cases of WNV infection identified in Massachusetts. WNV is usually transmitted to humans through the bite of an infected mosquito. While WNV can infect people of all ages, people over the age of 50 are at higher risk for severe disease. Most people infected with WNV will have no symptoms. When present, WNV symptoms tend to include fever and flu-like illness. In rare cases, more severe illness can occur.